Are you guys watching the World Cup? I am. Its Spain (duh) and Argentina for me. The world cup brings back a lot of memories. I was always in Spain whenever it happened. And I loved it when soccer ads and sponsoring was everywhere you looked. I used to collect everything that had to do with the world cup, even empty coke cans that had player pictures on them, pointless! I love how a world cup event promotes tourism in a hosting country. South Africa needs it, especially when it came to the local children there. A lot of charity organizations are helping. Have you seen the "2 Girls 2 Lives"? An ad campaign created to help promote education for children. I loved it. 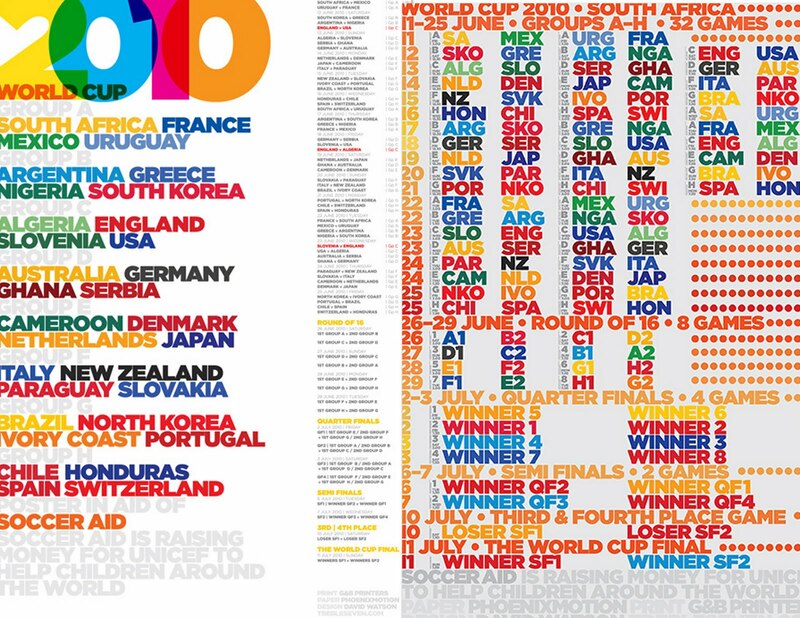 I was looking through my favorite magazine, Wallpaper*, when this amazing World Cup 2010 poster caught my eye! 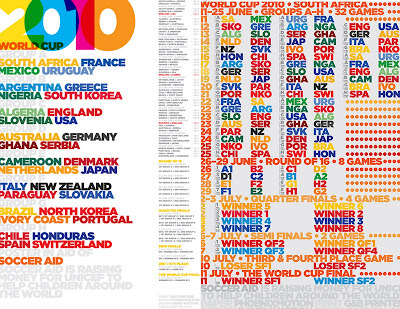 A beautifully made double-sided poster, with an edge, which was created by graphic designer David Watson. The catch? All proceeds from selling the poster went to UNICEF, an organization I very much respect and support. amaaaazzzing :) I just love the colors!!! and yeah I did see the two girls suzanna and mary i think!